What is the ICF CCE? ICF CCE stands for International Coach Federation Continuing Coach Education. This is not a program but a pathway to renew ICF credentials or to achieve credentials under portfolio pathway. 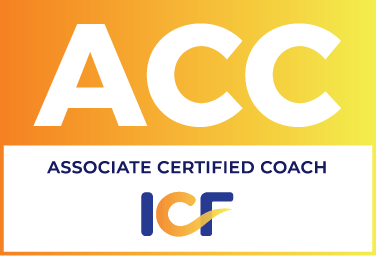 It is an accreditation coach training institutes to be able to deliver training for those who want to renew their ICF credentials. As per ICF policy every coach should need to renew his/her credentials after every three years and need to undergo 40 hours of supplemental and advanced coach education. These 40 units can be acquired from an ICF CCE approved training institutes only. ICF CCE accumulated hours can be used for achieving credentials for ACC, PCC or MCC. If you have acquired a number of hours that meet the requirement of coaching training hours of any level, and if you have required mentoring hours and coaching experience hours as well you can apply to ICF under portfolio pathway to achieve credentials of that level. For example, if you have acquired 60 hours coaching training under CCE, undergone 10 hours of mentoring and have 100 hours of coaching experience as well. It means that you meet all the requirements of ACC level, and you can apply for ACC level of credentials under portfolio pathway and can achieve ACC level of credentials. When you are collecting your CCE hours, you need to undergo at least 24 hours of training on core competencies. Those who have validity of their credentials till or later than December 31st 2018, they can use the 10 hours of mentoring towards CCEs in Core Competencies. If you have acquired hours in Resource Development that can be used as remaining hours. So, CCE is better than ACTP and ACSTH? ICF CCE coaching is completely different from ACTP and ACSTH in terms of its requirements and process. You are an aspiring coach ACTP or ACSTH any of them is undoubtedly a good choice to go with. Achieving credentials of any level of ICF under CCE portfolio may take far much longer than ACTP or ACSTH pathway which may lead to disinterest in coaching. CCE is mostly used for renewing credentials of ICF as we have mentioned above. What are the Advantages of ICF CCE? CCE is most commonly used for renewing credentials that doesn’t mean that you can’t get benefits out of it other than renewing credentials. Just to mention the most common advantages of ICF CCE, here you go. Complete the required hours – If you need only required coaching training hours and you acquire 60 hours in CCE then you can apply for ACC level, if you have 125 hours in CCE so you can apply for PCC and if you have 200 hours of coaching training in CCE then you can apply for MCC level. You can acquire from a minimum number of 1 hour of coaching training from any ICF CCE accredited coaching institute. You can count these hours as coaching training hours and can apply for credentials. Learn different modules – If you are an ACC level of coach and want to learn something to add on to your coaching skills, you can attend different advanced modules of your choice and later on you can use those many hours of learning into your PCC or MCC level of credentials. There is one thing that you need to make sure that wherever you learn it from, should be an ICF CCE accredited training organization. How to apply in CCE hours? Details of coaching experience and 2 audio recordings for final performance evaluation. Why should you join CCE program? Flexibility to apply for ACC , PCC and MCC, depending upon coaching experience.